Remember when TRL was still on, Michael Phelps was still up-and-coming, and P. Diddy took it upon himself to threaten the youth of America in an attempt to promote the civic duty of voting? Well, it's not 2004 anymore, guys. And with the progression of time and culture comes the progression of worldwide political-correctness. And you can't just go around yelling "vote or die!" to impressionable teenagers and twenty-somethings and get away with it. Even if you're P.Diddy. Who, for one week in 2011, even Sean Combs was not. Sidebar: During that week he insisted on being called "swag." Why does he keep wasting our time by making us memorize new names? We've already done triple the work for you, Sean "P.Diddy" "Puff Daddy" "Sean John" Combs, okay? I don't appreciate your presumption that we would do it again. Anyway. Due to this warm-fuzzies standard we have now reached, American celebrities decided that perhaps they won't use violence to inspire voting, they will use sarcastic jokes and YouTube, which are, as we all know, Americans' love languages. 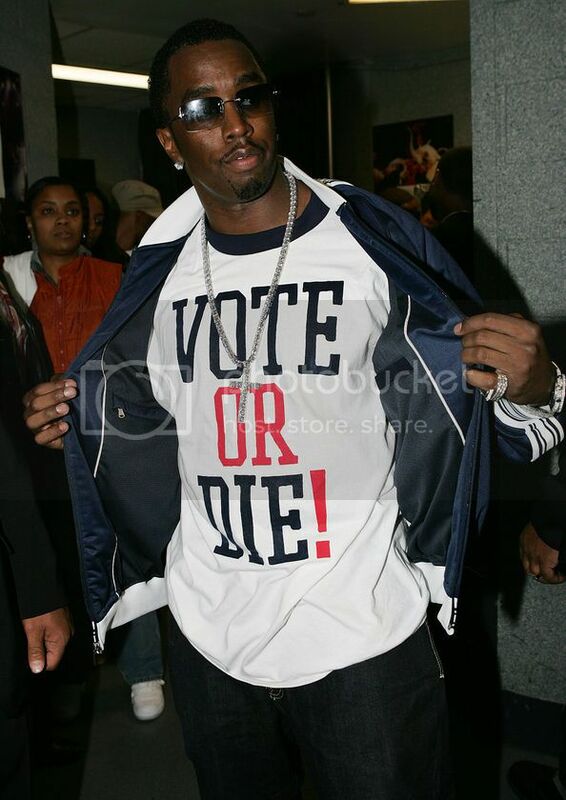 To top off this pendulum swing from Diddy's approach, this video is titled pretty much the opposite of "Vote or Die," which is the much less threatening "Vote 4 Stuff." Yep. Just…stuff. Vote for it. Bless it all. Aren't we just adorable? Anyway, what resulted from this initiative was the video below, starring some fantastic celebrities and some awful ones, just to balance it out, y'know? Ok, so there was only one awful celebrity. But she's terrible enough to eclipse the whole thing, am I right? Perhaps my favorite part is Joseph Gordon-Levitt's campaign to end dubstep. That's just good advice. It's had its fun, lets let the scene kids take it back now. We're tired of carrying it, frankly, and that IE9 commercial was cool for the first month and now it's not cool anymore. Also pop stars think they can just weave it in wherever they please (ahem: Nicki Minaj) when we least expect it, and I don't appreciate that. I like to know what I'm getting into when I listen to top 40 hits. So please enjoy this (admittedly pretty delightful) video telling you to vote for stuff. VOTE 4 STUFF 2012, you guys. But really, you probably should. I vote public funding to invent teleportation, because I am sick of driving 6 hours to get places. Or, y'know, mandatory nap times during the work day.